La Conner offers a wonderfully tranquil haven as a small, picturesque waterfront town in Skagit County, located between Seattle and Vancouver, B.C. the town center, roughly bounded by Commercial, Morris and Seconds Streets, as well as the Swinomish Channel, is a historic district listed on the National Register of Historic Places. Established in 1870, the Civic Garden Club was the first courthouse north of Seattle, with the building still standing today. Prospective La Conner waterfront real estate buyers will find a community just as alluring as it was back in its early days, with lots of original buildings restored, now housing restaurants, shops and museums. While the town itself is small, you can find just about everything you’ll ever need, and in the city of Mount Vernon, there are plenty of large grocery stores and retailers less than 10 miles away. 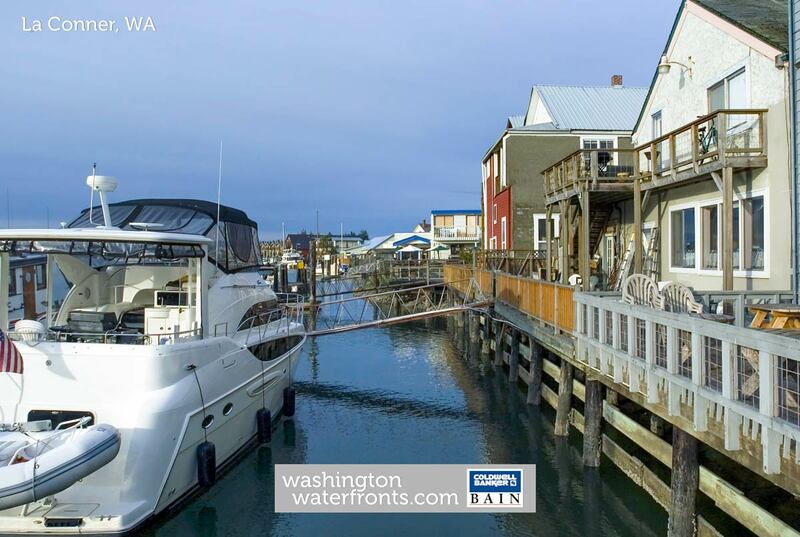 La Conner waterfront real estate owners may have immediate access to some activities on the water, though a wealth of opportunities await just steps away, from kayaking, fishing, whale watching and whitewater rafting to boating. On land, there are miles of scenic trails for hiking, farms and farmers markets to visit, wildlife refuges, golf courses and much more. Located at the edge of the world’s largest tulip-growing region, the Skagit Valley, this area hosts the annual Tulip Festival during the month of April, attracting visitors from across the globe, but of course, you’ll have a front row seat for viewing the endless fields filled with a kaleidoscope of colors. Of course, along with all of attractions and activities on land and on the water, with La Conner waterfront real estate, the highlight may be coming home to breathtaking water views where you can watch the wildlife from large picture windows and enjoy relaxing in an especially tranquil environment too. Take advantage of our industry-leading tools to make your property search as easy as possible and be sure to register for a FREE account so that you can receive email alerts whenever new La Conner waterfront real estate for sale hits the market. If you're seeking to sell your La Conner waterfront property, contact our Waterfront Specialists directly for a comprehensive listing analysis and to learn more about the cutting-edge marketing strategies we'll use to sell your home quickly for top dollar!